There is a common misconception among many people that baby teeth do not matter because they will fall out and the permanent teeth will come in. As a pediatric dentist I will often hear “Why do we have to fix the cavity? 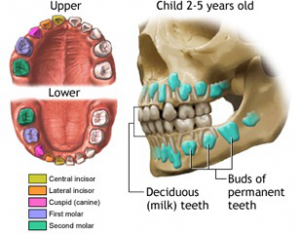 Isn’t it just going to fall out?” The answer is YES the tooth will fall out, however, most often decay is occurring in a primary molar, which does not exfoliate until 10-12 years old (see tooth eruption chart below). For example, if your child is five years old the decay will continue to worsen until the tooth cracks or infection and pain develop well before the tooth exfoliates. Contrary to popular belief primary or baby teeth are important! Primary teeth contribute to a child’s physical, social, and emotional development. Healthy primary teeth allow for proper chewing which fosters good nutrition, aids in speech development, contributes to a healthy self-esteem by allowing a child to smile, enables a child to focus and learn in school without dental pain, as well as, saves space for proper growth and development of the permanent dentition. By changing the views that baby teeth are important it may be possible to change the fact that childhood caries is #1 chronic childhood disease! Healthy habits should start young. By encouraging your child to brush twice a day and floss daily, you are helping them understand the importance of not only good dental hygiene but overall hygiene as well. Brushing teeth with a toothbrush should begin at the first sign of tooth eruption. However, you can begin taking care of your child’s mouth after birth, by wiping the gums and tongue with a wet washcloth, especially after breastfeeding. Remember to wash the cloth after each daily use. By cleansing the gums of an infant you are reducing the white biofilm that accumulates on the child’s tongue and reducing the bacteria in the mouth for when tooth eruption occurs. You also begin to desensitize your child so they will be more comfortable with tooth brushing in the future. Let’s face it, brushing a child’s teeth can be a difficult task as it is, so beginning early can only help to make it easier, especially if it is part of their routine and something they are already used to. Don’t let oral hygiene and dental health take a back seat to everything else that you do to keep your children safe and healthy. Establish a relationship with a pediatric dentist by the time your child is ONE so they can answer all your questions and educate you on effective ways to help prevent decay in the primary and permanent teeth. What are some of the best and worst foods for your teeth? WHAT and HOW OFTEN you eat are the most important factors of your diet that put you at risk for tooth decay. Each time you eat, the bacteria in your mouth begin fermenting or metabolizing the foods into sugars and acids that take minerals from the teeth leading to decay. The more frequently you eat or snack, the more your teeth are being “attacked” by the acids produced. The BEST foods for our teeth are those that contain calcium and phosphorus, minerals that help remineralize teeth after being removed by acids, such as milk, cheeses, nuts, and chicken/meats. Vegetables and certain fruits (apples, fruits) contain a lot of water and stimulate saliva flow which help to buffer the acids in foods and produced by bacteria. Citrus fruits or other acidic foods, such as tomatoes and lemons should be limited during larger meals to help balance the acidic nature of these foods. The WORST foods are those that contain large amounts of sugar, are sticky, or high in carbohydrate content which can be broken down into sugar in the mouth, including candy, cakes, breads, muffins, chips, pretzels, bananas, dried fruits, etc. *The best beverage choices include water (especially fluoridated water), milk, and unsweetened tea. Limit your consumption of sugar-containing drinks, including soft drinks, lemonade, and coffee or tea with added sugar. Also, avoid day-long sipping of sugar-containing drinks — day-long sipping exposes your teeth to constant sugar and, in turn, constant decay-causing acids. 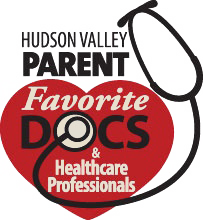 What happens if my child has a cavity or worse? If a child sees a dentist on a regular basis, sometimes cavities can be detected before it penetrates the enamel (outer protective layer of the tooth) and does not require any local anesthesia. This is the easiest and quickest type of cavity to treat. However, once a cavity has penetrated the enamel, it usually requires local anesthesia so a child is comfortable during treatment. 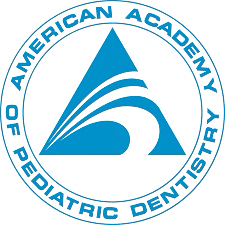 As a pediatric dentist, we are trained in the use of nitrous oxide and other behavior management techniques, which can distract your child and help them to relax during their visit safely. On occasion, there can be decay that is extensive and deep and may require multiple visits, including root canals (for very deep decay impinging on the nerve) and crowns. Although it seems that a child may not be able to tolerate this, with nitrous oxide and our behavior management techniques, we are able to complete the treatment as comfortably and in the same amount of time as a simple filling. For those children that are unable to tolerate treatment in an office setting (e.g. very young or special needs), there are sedation options that can be discussed with your dentist.